The Sabarimala judgement of September 2018, Indian Young Lawyers Association vs State of Kerala starts with reference to a Henry W Beecher, an American cleric with a questionable reputation who is supposed to have said, “Our days are a Kaleidoscope. Every instant a change takes place in contents.” Who in India knows Beecher. But there are numerous Indian sages, wise persons and philosophers through thousands of years of history who have said this in greater depth and who the everyday Indian might know from their visits to Mandirs or Gurdwaras. In this little pedantic critique of the judgement lies the disjunction between the institution and the people it is meant to serve. Judgements at the highest level have to make sense to the people of the nation in which they are based, particularly if a centuries old tradition in being challenged. Judgements also have to respect the people, their culture and belief systems as the constituent of the nation. The Sabarimala judgement seems to transgress a number of ‘sacred’ lines in a secular democracy. The judgement singularly managed to achieve a feat that no one from Alexander, Kautalya, Mughals to British to BJP succeeded with. The Supreme Court has decided it knows the uniform ethical values and a yet unknown corporate structure of ‘Hinduism’, a religion that does not really exist according to its own leading thinkers. Most indigenous philosophers have moved on to the concept of ‘sanatan dharma’ rather than religion. Further, the Supreme Court of India has also expressed opinion on what every religion is all about and what the acceptable relationships of God, humans and religion is. “Any relationship with the Creator is a transcendental one crossing all socially created artificial barriers and not negotiated relationship bound by terms and conditions.” It begs the question what about the ‘Covenant between God and Abraham’ which lies at the heart of Jewish belief and the State of Israel and which also forms the narrative of two great religions Christianity and Islam that emerged from it. It goes further, “Patriachy in religion cannot be permitted to trump over the element of pure devotion borne out of faith and freedom to practice and profess one’s religion” and even further, “It is a universal truth that faith and religion do not countenance discrimination but religious practices are sometimes seen as perpetuating patriarchy thereby negating basic tenets of faith and gender equality and rights”. Surely this ‘intuition’ from Indian Supreme Court needs to be sent to the offices of the infallible Bishop of Rome (Pope) and the Chief Imam of Mecca who have been practising patriarchy and exclusions for over thousand years. Is it appropriate for the Supreme Court of India to assume deeper understanding of religion than the spiritual leaders of those faiths? In the verdict, the judgement appears to agree with quite sweeping statements such as “Hindu religion accords to women a higher pedestal in comparison to men and such discrimination is totally anti-Hindu, for restriction on the entry of women is not the essence of Hindu religion”. This is now in the territory of Sankacharya in supremo. There is Kumbh Mela taking place. It will be interesting whether the nange sadh (the order of naked sadhus) will be accompanied by nangi sadhnis and whether the latter can go to forests occupied by the former. Perhaps Young Indian Lawyers can lead a troupe in Prayagraj. And from what I have read in the Manusmriti on the place of women or the Dharmasastras on the roles, status and responsibilities of the genders seem to be inconsistent with the ‘Hinduism’ as decreed by the Supreme Court of India. An intellectually challenging aspect of the traditions called Hinduism is that no one has been able to define the core, a universal set of values, a unified idea or a corporate identity. It is more difficult than understanding the black holes in space. In the same square mile living in coexistence are the temples to Ram and then to Ravana. There are at least four Dharmashastras often at variance with each other. Hinduisms’ diversity, its fluidity and its elusiveness has defied rulers, conquerors and colonialists who were desperate to know the ‘essential’ Hinduism in order to control and convert. The SC’s adventure in this is unique in history. The judgement is also interesting in its pronouncement of what is superstitious and what is essential in religion. 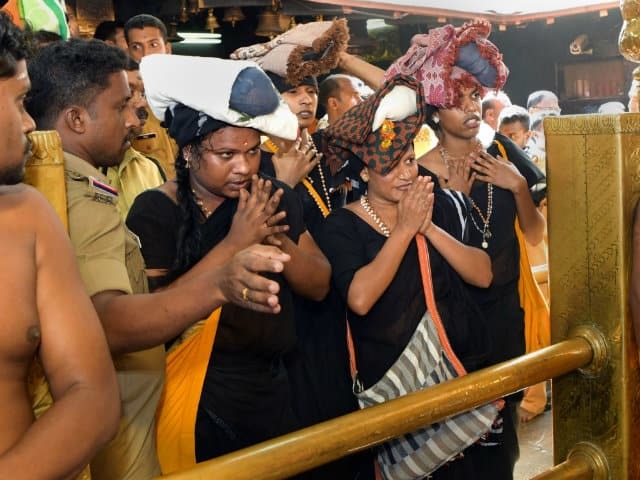 It states, “Superstitious beliefs which are extraneous, unnecessary accretions to religion cannot be considered as essential parts of religion.” The SC is deciding on what is essential to the believers of ‘Lord Ayyappa’. One wonders whether the narrative of ‘Lord Ayyappa’ satisfies the SC criteria of not being superstitious. Can the SC be pushed to reveal this criteria and adjudicate on whether believing Ganeshji had an elephant head transplanted is an essential part of Hindu religion or a superstition as atheists of India might say! Or whether the secular State should be spending so much ‘public’ money organizing the Kumbh Mela where a drop of the Kumbh is supposed to have fallen. Does the narrative of Kumbh meet a SC criteria of essentials of religion? There are quotes in the judgement from other religions, from the old testament (Jewish) to the Quran and even Dharmashastras and Bhagwat Gita about objections to women of menstruating age. It appeared to be suggesting that it is not something unique to Sabarimala or an aberration in ‘Hinduism’. However it then flips the argument in the last passages and goes on to explain why constitutional right trump everything! Is the Indian SC now venturing into deciding which parts of the Bhagwat Gita are superstitious and which essential! The judgement then goes on to say that new (recent) religions such as Sikhism and B’ahai do not take this position on women. As a Sikh, I am flattered that the SC has complimentary view of Sikhi but I am not sure that is the role of the SC. It also seems an ideological commentary rather than a legal observation. The only rational argument in relation to the essential issue is presented by one dissenting judge. The justice gives a detailed and sensitive understanding of the practice in Sabarimala and then makes references to judgements from the genealogical parentage of Indian Supreme court, the Anglo Saxon judicial systems, (UK, USA and Australia) to drive home the point that in the secular system, it is not within the remit or gift of the Supreme Court of India to be determining issues of religion, what constitutes a denomination within a religion and what practices they can have. The Sabarimala judgement is extremely serious. It poses the question ‘what are the limits of the State in relation to the civilization, beliefs and cultures of the people’. India adopted a secular constitution in 1947 and decided that it wants to be a secular country modelled on western secular State theory. Essential to that is the separation of the secular aspects of the State and the religions and beliefs of the people. In the western secular State, the judicial system does not appropriate to itself the role of the Church, a point made quite clear by the references used by the dissenting judge. It is only in matters of public sphere that State interferes or other secular matters such as crime. The dissenting judge also pointed out that it is not female worshippers of Lord Ayyappa who raised concern but a bunch of busy bodies far removed from this religious denomination who decided to start a PIL. Redefining a centuries old tradition at the behest of some upstart lawyers still in legal diapers is dangerous. The SC appears to have opened the doors now for other young activists with shallow understanding of philosophy, religions, western history, secularism etc to start PIL actions in SC against other religious practices. For instance why not challenge the Roman Catholic Church in India for denying priestly positions to women. As rest of Christianity seems quite capable of holding that the ‘essential’ belief of Christian religion does not necessitate exclusion of women from priesthood, will the Indian SC lead the march to change the Vatican. Some young Indian legal Turks could also move the SC to stop Jama Masjid in Delhi denying women entry to pray alongside men. Will the SC choose to become the Mullah in Chief? This judgement may seem ‘progressive’. However, beneath the candy, it is not about gender equality in the public sphere but the State interfering in the sphere of religion, a serious diversion from the original constitution settlement. As a Sikh I am concerned at this judgement as the SC now has assumed the mantle of universal pontiff in religious practices acting like the supreme ‘math’. Today one judge is complimentary about Sikhi. Another justice however could potentially interfere and over ride the Akal Takht. 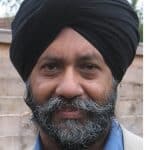 It will not be acceptable to Sikhs and is in fact a perfect reason to renegotiate its relation with the Indian State. The SC appears to be venturing out of its territory. Its statements on issues of religion appear superficial and inconsistent with views and beliefs held by practitioners. But the Supreme court of India is a powerful institution, almost plenipotentiary, and also quite sensitive to critique. Who will bell the cat!